In New Jersey, while all instances of committing a traffic offense by driving under the influence are taken seriously, certain factors can serve to make the act treated more harshly in the event of a conviction. The penalties for a DWI under most circumstances are bad enough with driver’s license suspensions, fines, surcharges and potential jail time. However, if a driver is arrested for DWI while in a school zone, the penalties are exponentially worse. New Jersey defines a school zone as school property that is used for school purposes. If a driver is arrested for DWI within 1,000 feet of these areas or after driving through a school crossing, they will be charged with DWI in a school zone. The school crossing is where children are required to cross in a school area. When a driver is arrested and convicted of DWI in an area that is not considered a school zone, the penalties will depend on several factors such as age, blood alcohol content and whether it’s the first offense or not. For a conventional DWI, the BAC for a driver over the age of 21 to warrant an arrest is 0.08% or above. If the driver is under age 21, the BAC must be 0.01%. For a commercial driver, it is 0.04%. If a driver is stopped, arrested and convicted for a DWI with a BAC of 0.08% and below 0.10%, the penalties will include fines, surcharges, a driver’s license suspension and potential jail time. The driver’s license will be suspended for three months. There will be a fine of between $250 and $400. $230 will be paid to the Intoxicated Driver Resource Center (IDRC). $100 each will go to the drunk driving fund and the Alcohol Education and Rehabilitation Fund (AERF). There will be a surcharge of $1,000 per year for three years. $75 will go to the Neighborhood Services Fund. There could be up to 30 days in jail. The penalties grow in significance with a BAC of 0.10% or above or if the driver has prior DWI convictions. With a conviction of a first offense DWI in a school zone, the driver will face a fine of between $500 and $800. There will be up to 60 days in jail. The driver’s license will be suspended for between one and two years. Drivers who are convicted of a second offense DWI in a school zone will have the fine increased to between $1,000 and $2,000. There will be community service for 60 days and jail time for between four days and six months. The driver’s license suspension will be for a duration of four years. If there is a third offense DWI in a school zone, the fine will be for $2,000. The jail sentence will be for six months. The driver’s license suspension will be for 20 years. Drivers might try to present the excuse that they didn’t know it was a school zone when they’re arrested on a DWI and it happened to be in the vicinity of a school. In New Jersey, this reasoning will not do the driver any good. Simply because the driver was unaware that it was a school zone doesn’t excuse the fact that he or she was driving drunk in the first place. That it was in a designated school zone is a matter of circumstance. The driver happened to be caught driving drunk in a school zone and will have to face the consequences of that in the event of a conviction. Drivers are often concerned that the second offense DWI in a school zone will be charged if they have a prior DWI even if it wasn’t in a school zone. The school zone penalties for second and third offense DWI will only be in effect if the first offense was in a school zone. The second offense will be viewed as a second offense and first time committing DWI in a school zone. Drivers who are arrested on charges of DWI in a school zone need to understand the difference between a DWI in other areas and a school zone DWI. 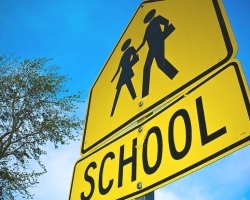 New Jersey takes school zone infractions seriously and if it is a DWI, the penalties are intentionally doubled to function as a deterrent for those who are not only driving drunk, but are doing so in an area where children will be put at risk. The punishments for driving drunk can be severe. When the act is committed in a school zone, they’re far more stringent.